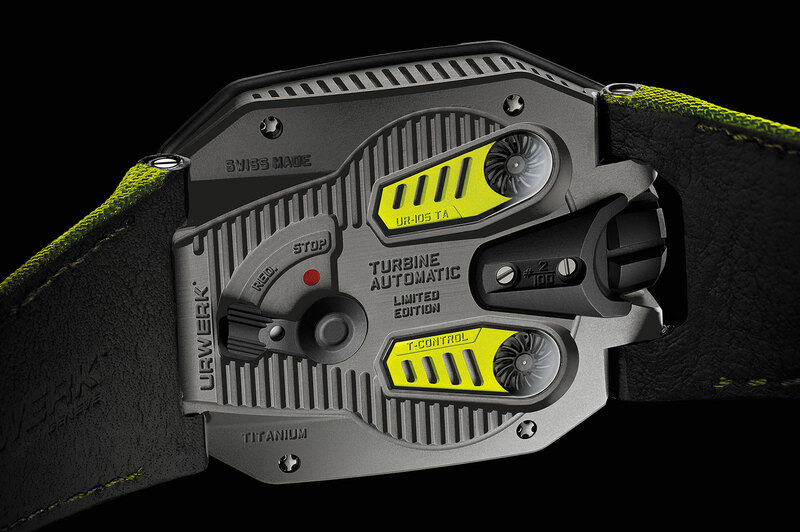 Urwerk’s entry level timepiece, the UR-105, is now offered in four new guises, including neon orange or yellow, a first for the brand synonymous with black or grey watches. 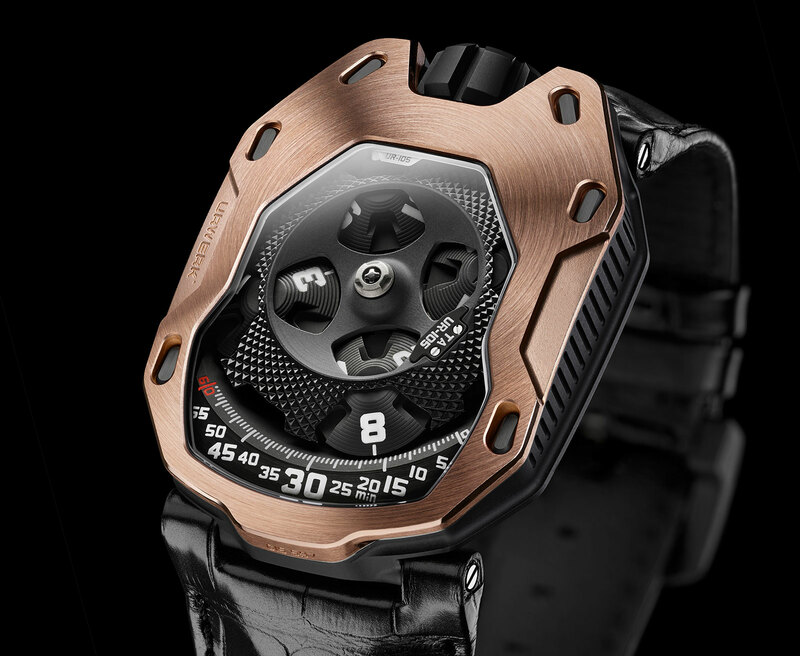 Urwerk has alway limited its colour palette to black, grey and sometimes rose gold. 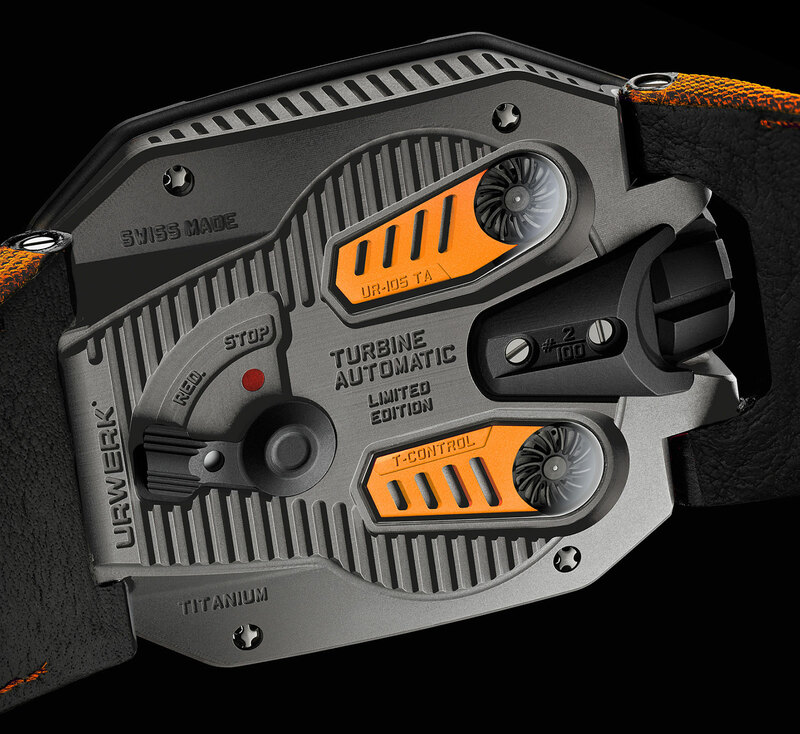 Offered in bright orange or yellow, the new UR-105 TA (short for turbine automatic) proves Urwerk can go beyond monochrome. 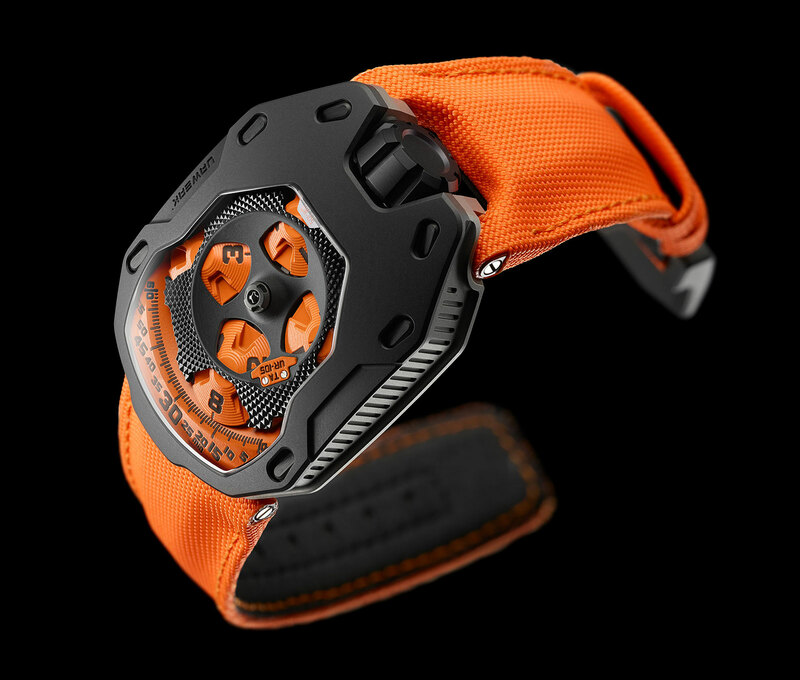 The UR-105 Black Orange and Black Yellow have a titanium case and a black coated steel bezel, with the hour satellites and minute track lacquered in either orange or yellow, with matching nylon straps. 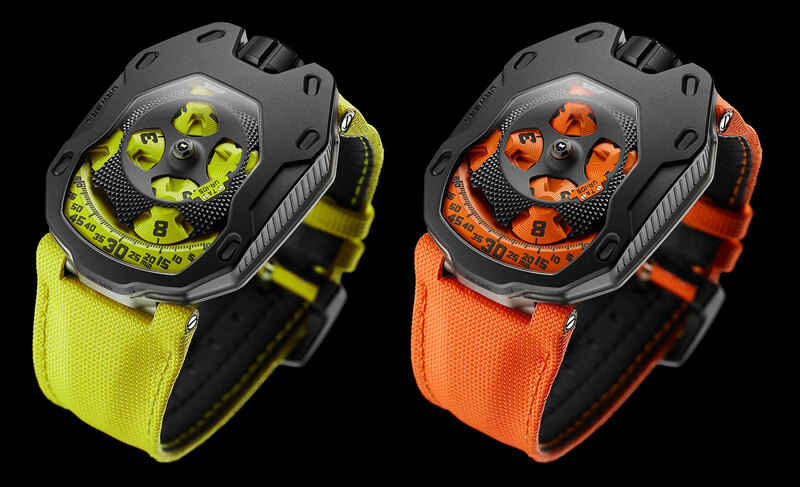 In addition to the orange and yellow, two more UR-105 models have been adding to the range. 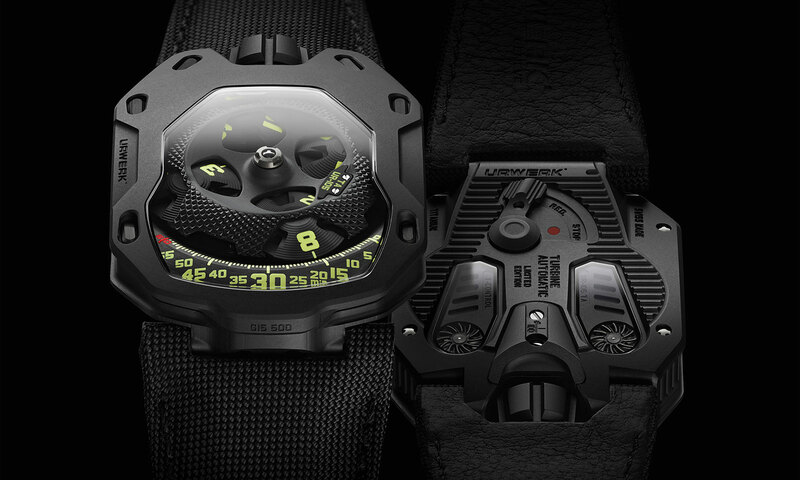 The first is the UR-105 RG with a red gold bezel on a titanium case, and the second is the All Black, probably Urwerk’s most popular look. 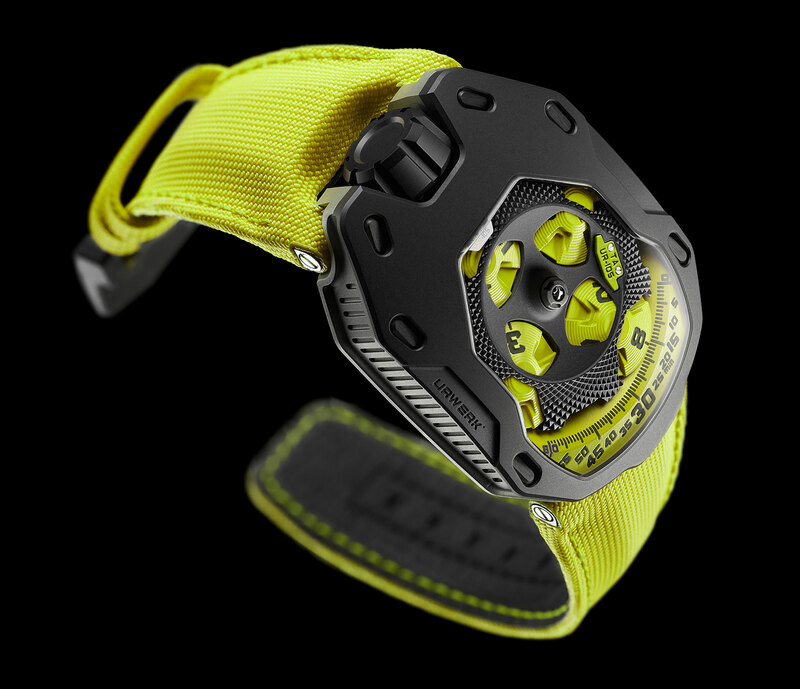 Each of these watches have inserts on the case back matching the colour theme. Materials and colours aside these are identical to the original UR-105. The case is 39mm wide and 53mm long, with a large sapphire window to display the satellite time display. A black polyetheretherketone (a high tech plastic also known as PEEK) cap sits on top of the satellites. 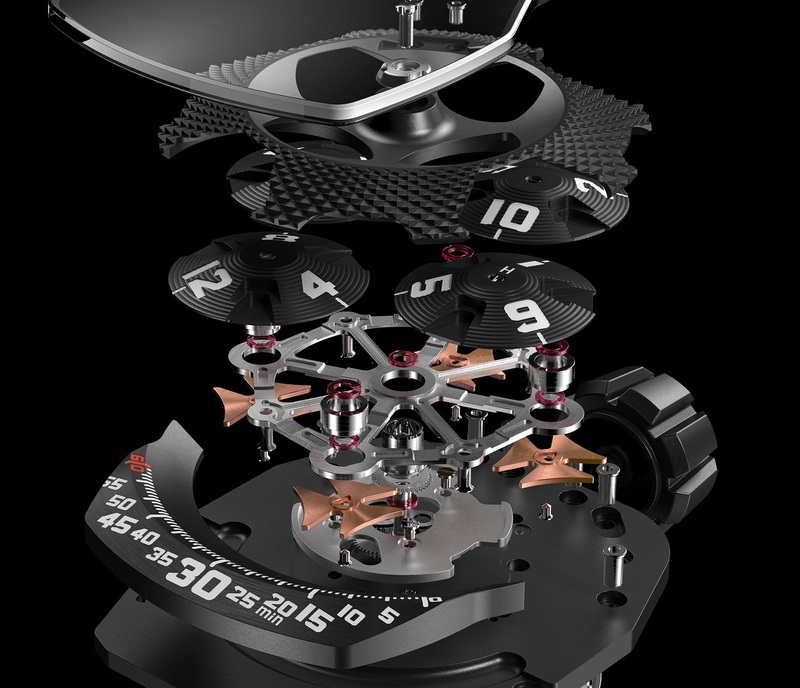 The movement is automatic with two turbine to regulate the speed of the rotor.